The Swedish Gambling Authority released figures that revealed the country’s market revenue is up by a massive 3% in the first half of the year. Also documented in the statistics was the rise of ‘unregulated’ online gambling which had doubled since the same time last year. To prevent any further disarray and ensure Swedish bettors are gambling in a safe and secure environment, the government will be updating the country’s gambling laws where gambling operators from around the world will need to hold a license to do business within the country, which can be expected to be in place by 2019. This will give Swedish gamblers more of selection to choose from when it comes to overseas online casinos such as casinos from Denmark, the UK and New Zealand who can offer new and competitive promotions and bonuses to the player. Reading into the break-down of the statistics, regulated online gambling operators took in SEK8.4 billion, which is similar to last years’ takings. The unregulated gambling operators managed to pull in a sizeable SEK2.7 billion in revenue, which is up 17% from last years’ figures alone. With the popularity of online casinos growing rapidly in Sweden, speculation is rife that Sweden will become the online gambling capital of the world and attract gambling operators from across the world. Given the fact the Swedes are particularly tech-savvy, this may be a factor for the high usage of online gambling and a separation from land casinos. 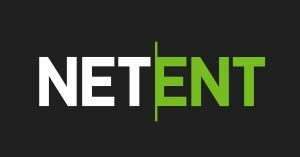 Swedish software pioneers, NetEnt powered online casinos are currently enjoying a moment. Online gambling content is heavily advertised within Sweden from foreign operators. Given the fact many online gambling websites are now mobile friendly, this means the busy and technical minded Swedes can play some of their favourite games like online poker on the go. Swedish television is also dense with online gambling advertising, with statistics proving that 10% of ads shown on Swedish television is from a foreign gambling operator. On top of these figures, it was revealed that within a Swedish household, 2.3% of the income is spent on a state-run gambling market. With their increasingly popular offerings, NetEnt games are becoming more popular with New Zealand players. Progressive Games like Gonzo’s Quest, Hall of Gods and the ever popular Starburst slot, NetEnt have really started to corner the online casino software market. Previous Post: « What is the future for online casinos in Australia?